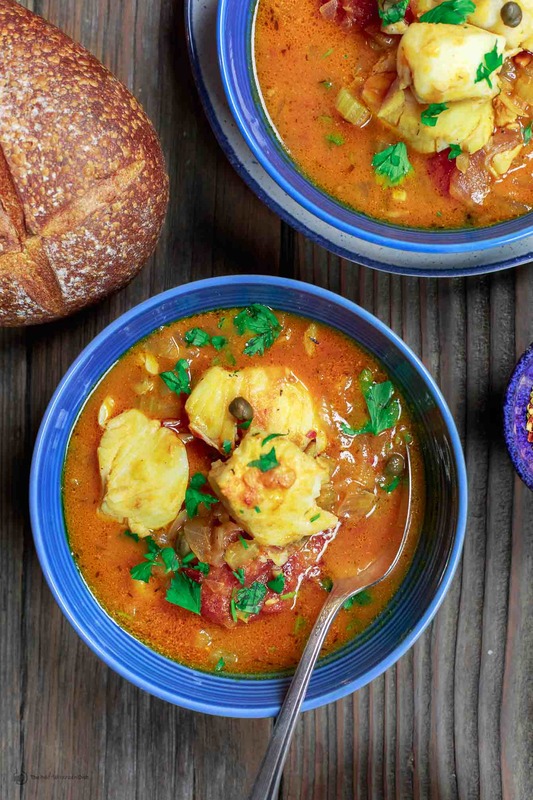 An all-star recipe for fish stew with a Sicilian twist! The comfort of Italian flavors in one delicious stew cooked in a white wine-tomato broth with garlic, capers, raisins more! 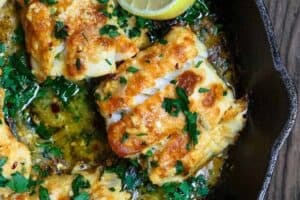 In Italy, as in many parts of the Mediterranean basin, fish is often combined with tomatoes and other local ingredients to make delicious and quick one-pot-wonders like today’s Sicilian-style fish stew. I’ll just come right out and say this now. 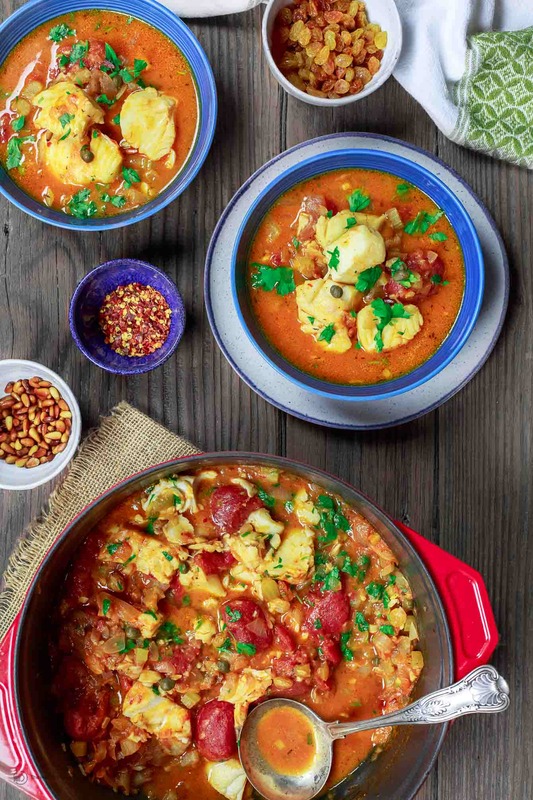 This fish stew is best eaten with family and close friends, because if you eat it the right way–with crusty Italian bread to sop up the lovely sauce–it can get pretty messy. Finger-liking-good kinda messy! 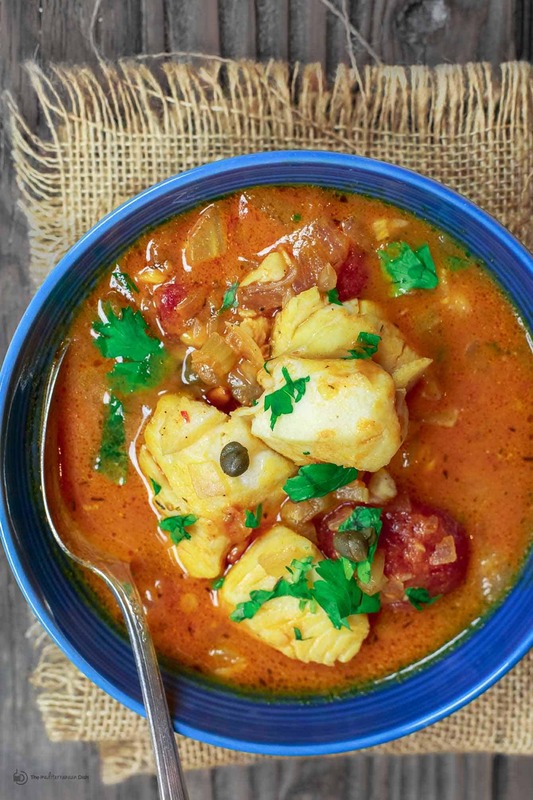 This fish stew recipe is quite simple, but the balance of flavors is truly incredible. 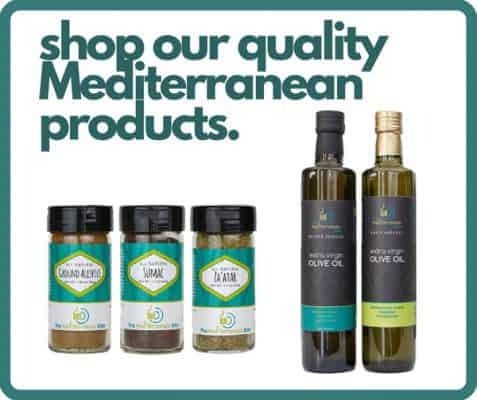 From lovely and familiar aromatics like onions and garlic–providing the glorious start to this recipe–to a hint of sweetness from golden raisins balanced with tart capers. All the while, a white wine and tomato-based broth marries everything together. 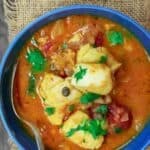 Sea bass fillet was my choice for this fish stew recipe, but you can use any firm white-fleshed fillets here. 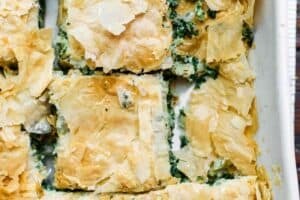 I adapted this recipe from America’s Test Kitchen’s new book, The Complete Mediterranean Cookbook. 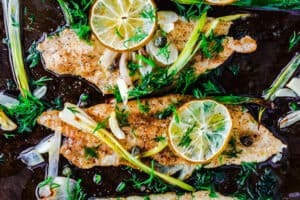 Here’s a great tip I picked up: To prevent the fish from overcooking and drying out, it’s best to add the fish towards the end, when the stew is nearly done. Let it simmer until it’s partially cooked, then turn the stove off and cover the pot to let the fish finish cooking by residual heat. If you like, add a simple green salad to start the meal. Or you can give one of these salads a try: Kindey Bean and Cilantro Salad; Mediterranean Chickpea Salad; Greek Salad or Fattoush. Heat 1 tbsp olive oil in 5-quart Dutch oven (like this one) over medium heat. Add onions, celery, and a little salt and pepper (about 1/2 tsp each). Cook, stirring regularly, until softened (about 4 minutes). Add thyme, red pepper flakes and garlic and cook briefly until fragrant (about 30 more seconds). Now, stir in the white wine and reserved tomato juice from can. Bring to a simmer, and cook until the liquid is reduced by about 1/2. Add the tomatoes, vegetable broth, raisins, and capers. Cook for 15-20 minutes over medium heat until flavors combine. Pat the fish dry and season lightly with salt and pepper. Insert the fish pieces into the cooking liquid, and give everything a gentle stir so that the fish pieces are nicely covered in the cooking liquid. Bring to a simmer and cook for another 5 minutes. 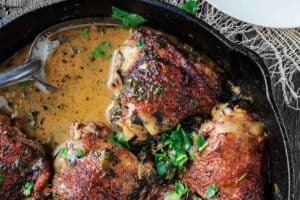 Remove the Dutch oven from the heat and cover. Let sit off heat for another 4-5 minutes so that the fish will finish cooking. Fish should be flaky when gently pulled apart with a paring knife. Finally, stir in the chopped parsley. Ladle the hot fish stew into serving bowls, top each with a few toasted pine nuts, if you like. 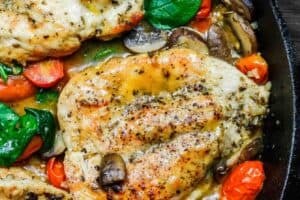 Serve with your favorite crusty bread! Enjoy! I’m wondering if I can make it ahead of time (for Good Friday – we have church and then are hosting friends afterward). Could i make it up until adding the fish the day before, then reheat to hot, add the fish to cook it, then serve? Thank you – I love your site!!! Hi Kate! Yes, that will work!!! Enjoy! Such an amazing stew with very complex and harmonious flavors! I’ll be making this often from now on. Thanks so much for the recipe! So far, so good. Made up broth this AM for dinner tonight. I bi\ought Monkfish under the advisement of my fish guy ( couldn’t justify cost of Sea Bass. Fish Guy cut the membrane on the Monk Fish so it would be easier eating. Any thoughts? Altho’ by the time you get to this, we will have found out for ourselves😊. Also thinking of a light sprinkle of Parm-Regg cheese for serving. Hey Cori! Thanks so much for sharing. It sounds like your fish guy knows what he’s doing:-) Eager to hear back. I wouldn’t mind a sprinkle of parm either!